Although it often has a negative connotation, neutering your puppy is not a bad thing; it keeps your dog from fathering any unwanted puppies. Neutering involves an incision made in the front of your puppy’s scrotum in order to take the testicles out. When male dogs are neutered, they become less aggressive because they have less testosterone in their system. You’ll also lessen the chance of your pet developing testicular cancer or prostate diseases. Your dog will also be calmer if you make the decision to neuter him. While most dogs are neutered as puppies, any age after two-months-old in a dog’s life is a good time for the procedure; older dogs can benefit from neutering, too, as it reduces the size of an enlarged prostate. Since puppies being neutered usually requires anesthesia, do not feed your puppy any food for at least eight hours before surgery, though drinking water beforehand is okay. The actual surgery is quick; most dogs end up going home the same day of their surgery. Your puppy will most likely have no appetite for a day or two and may experience a swollen scrotum for a couple days. If your puppy gets stitches, they need to come out about a week after surgery. 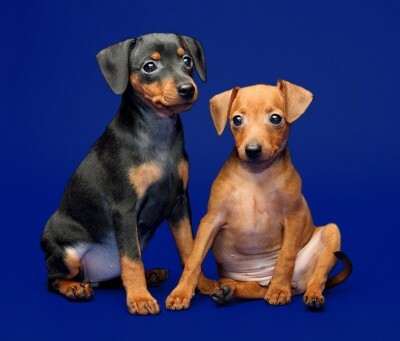 While there are many health and behavioral benefits of neutering your puppy, the choice is up to you. Tags: health and behavioral benefits of neutering your puppy, neutering your puppy, should I have my puppy neutered?